iOS 8.4.1 has released. Now there is no doubt, TaiG & PP tool for jailbreak iOS 8.4 – 8.1.3 has been patched by the Apple with that latest iOS update. 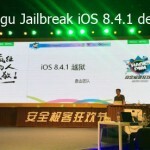 So, what can we do right now to save Cydia jailbreak on our device? Here are things you must known at this moment.. If you are on still iOS 8.4, do NOT update to iOS 8.4.1 & stay there. Cydia currently not available for latest iOS 8.4.1 & it may takes few weeks/months for the next jailbreak release. iOS 8.4 jailbroken users enjoy with Cydia on your device. 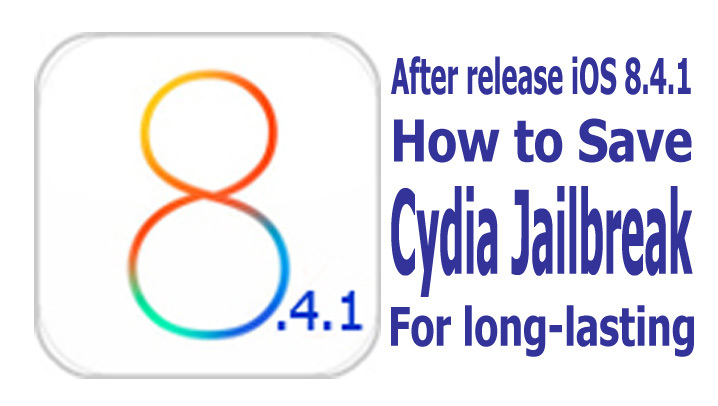 iOS 8.4 users still not get Cydia for their devices, follow bellow tutorial to get it..
How to install Cydia for iOS 8.4 – 8.1.3 using TaiG or PP jailbreak? If you already have installed iOS 8.4.1 on your device, downgrade to iOS 8.4 right now. Then you can get Cydia using TaiG or PP jailbreak tools for your device. Please hurry-up, Apple is still signing iOS 8.4 but they will recently stop signing for iOS 8.4. Note that : you are only able to downgrade to iOS 8.4 until Apple signing iOS 8.4. In addition, recommend to install following things after jailbreak on your device to prevent accidental restore to iOS 8.4.1 with lost Cydia. 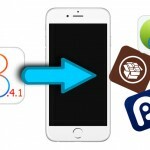 Download & install Cydia Impactor :This allows you to unjailbreak & restore your device without updating iOS version to latest. So, if something wrong with Cydia jailbreak on your device, you can restore your device using Cydia Impactor & jailbreak again. Install OpenSSH : This allows user to restore their device to near stock firmware version without losing jailbreak status. This is called semi-restore & during the process it removes all Cydia tweaks on your device. If you got reboot loop issue due to some bad tweak, you can use OpenSSH to restore your device & remove that tweak without losing Cydia jailbreak. Very important- you should change the root password of your idevice right after installing OpenSSH to prevent authorize remote access to your device. Ok. These are the important point to enjoy long lasting Cydia jailbreak with you device in current situation. If TaiG or PP update their tools for jailbreak iOS 8.4.1, things are changed. We’ll see what they do. Stay tuned with us & let us to know your idea/problem with that by the comment bellow..